I joke about every politician out there. I annoy everyone who supports any political party in particular. My own parents do not understand who I support politically. My own friends do not know who I vote for (or even if I vote or not). Not because I am ashamed of my political colors, of course! But because, just like religion, I believe politics is something personal. I listen to all, get affected by none, and at the end of the day support and vote for whomever I see fit! 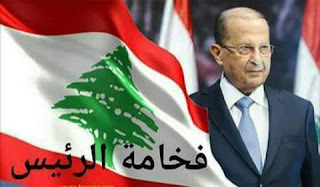 Today I vote for Michel Aoun. I vote for him as a Lebanese President. Not as a member of a political party. Not as a leader of a certain idealistic politically related dream. Today, on October 31st of the year 2016, we have a new President. We have a President who, for once, was elected internally. You may say he was agreed upon and not elected. And I’ll say it might be true. But at least it was an all-internal decision. That deserves a clap and some points. Today we have a President who comes from a normal, non-political Lebanese family. His father was a butcher. He worked to reach where he is today. And that of course deserves another clap and some extra points. Today we have a President who made his dreams as a young man come true; A military man who dreamt, failed, tried and fought until he reached. Aside from politics and debates on how he reached and how he led his political life, I admire this man. I admire his will. I admire that at 81 years he still stood still and made his dream come true. It gives me hope, courage, strength. It makes me believe that dreams DO come true if you fight hard enough for them. And this deserves a clap and some more points and a big bow in respect. Actually, we have tried every single political family out there for years and years, and no one is satisfied. Because they (the politicians) fail to satisfy us. So I say let’s give that man a fair chance.